Well folks its here, that wonderful time of the year known as BBQ season is upon us. Even as many of us up north are still stuck with freezing cold and muddy spring thaws, grill sergeants, pitmasters, fire tenders, charcoal chiefs and backyard cooks are starting to fire up the cookers across the country. March is for many the start of the competition season but April is when the pace really picks up. As the weather warms up and the days get longer teams all over country are getting out and shaking off the cobwebs at contests all over. Sure, there are a few contests in Florida and the Southwest that draw teams during January and February but the end of March/beginning of April just seems to be that time when the itch to compete kind of hits us all hard just a little and everyone starts juggling schedules to “get one in”. Online forums and social media start to pick up traffic, teams start talking to each other more and we once again get ourselves ready to judge and be judged. 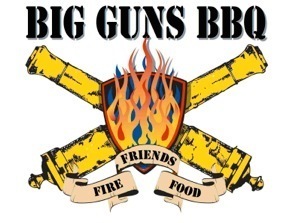 For the second year in a row I’m on my way to kick off the season for Big Guns BBQ in sunny southern California at the Santa Anita Winner’s Circle BBQ. This is a fabulous contest at one of the most scenic contest venues ever, the infield of the Santa Anita Park thoroughbred racetrack. If you get the chance to compete at this contest, it is well worth it. It is certainly an exciting time! If you have never competed or been to a contest before, come on down to a local contest and see for yourself. If you are one of the thousands trying to get that “one in” and cook or judge your first of the year, I wish you good luck and safe travels. Either way, be sure to stop by the when see our flag and say hello. I hope to see you all soon.